In 2015, the Syrian War and ensuing refugee crisis were making headlines. Social media allowed people around the world to follow this conflict in real time like never before. It was this phenomenon that inspired Pooja, a 2018 GATHER Fellow and Seeds of Peace Camp counselor from India, to do whatever she could with whatever she had to humanize refugee communities. “It was the first war in our time that was livestreamed through social media and it really bothered me how we could just watch it happening and not do anything about it,” she says. Letters of Love began as just a “Facebook page with a bunch of friends around the world,” who were united around the idea that something as small as a handwritten letter could connect communities, build empathy, and make a real difference. It has since grown into a youth-led non-profit that connects children around the world to peers in refugee communities through writing and delivering letters. It is also an official member of the United Nations High Commissioner for Refugees #WithRefugees Coalition, the United Network of Young Peacebuilders in the Hague, and the UN Sustainable Development Solutions Youth Network. In just three years, Letters of Love has delivered handwritten postcards to more than 30,000 Syrian, Iraqi, Yazidi, Palestinian, Afghan, Kurdish, and Rohingya refugee children, and has effectively engaged more than 20,000 youth. “We empower refugee children with joy, laughter, and psycho-social support, and we use empathy-centric education as a tool to sensitize school and university students about the ongoing refugee crises,” says Pooja. Even before becoming a GATHER Fellow or a Camp counselor, Pooja’s connection to Seeds of Peace was essential to making Letters of Love a reality. When her husband, himself a Seed, mentioned the initiative at Camp, a counselor took note. That counselor reached out to Pooja and became her mentor as she began to develop Letters of Love. Pooja says that her involvement with Seeds of Peace over all these years has been a transformative experience, one that has shaped her personally as much as it has her professional mission. 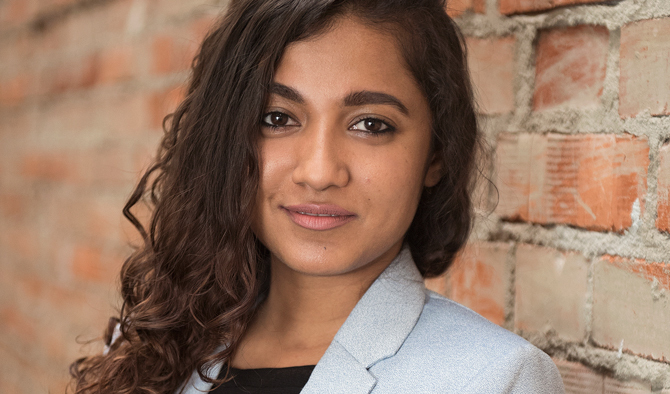 Pooja says that the GATHER Fellowship has connected her to a diverse community at the crossroads of social innovation and conflict transformation. This has given her access to potential partnerships, some of which she has already pursued, which she says has helped increase her impact both qualitatively and quantitatively. An experience Pooja had as a counselor at Camp also inspired the Pen Pal Project, an offshoot of Letters of Love that uses strategic mapping dependent on age, interests, and other factors to connect high school students to peers in refugee camps in a more deliberate way, and on a more long-term basis. Through the Pen Pal Project, 350 students in India were connected to 350 children who were Syrian refugees in Turkey, internally displaced children in Syria, and Palestinian children in a community center in Gaza. More than anything, Pooja hopes that participating in the Letters of Love initiative inspires young people to have more of an impact in their own communities.